Some weeks, I get tired of the same old thing. Seems like I eat grilled chicken breast with steamed broccoli, baked salmon with green beans, pork tenderloin with a giant salad and REPEAT. I decided this week to shake things up so when I walked through the produce department Saturday to stock up for the week, I spontaneously grabbed a couple bunches of dark green curly leafed kale and a handful of leeks. Having kale and leeks in my buggy made me feel like a fancy gourmet cook. You can shake a mule’s tail and write your name on a barn door but that don’t make you a farmer and having kale and leeks in my buggy sure didn’t make me a Top Chef either. I’ve cooked kale before. Sautéed kale, baked kale chips, or even finely chopped in a salad. While kale chips are good and satisfying if you are a fan of salt and crunch like me, you are completely delusional if you can fake yourself into thinking they are salty, crunchy deep-fried golden Lay’s potato chips. I’ve never cooked leeks before. 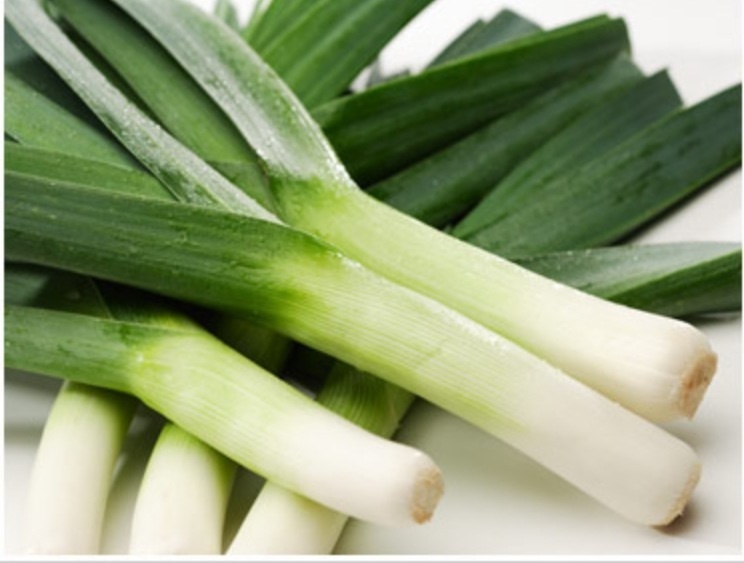 I googled how to cook leeks for at least a half hour and found one common denominator among the recipes. Apparently, heavy cream and leeks are meant for each other. Well, that and leeks are the hardest vegetables known to man to clean, full of sand. What was I thinking when I grabbed this vegetable that looked like a green onion on steroids? After searching recipes online for what seemed like eternity and wishing heavy cream and a stick of butter were considered heart healthy, I settled on leeks sautéed with garlic in a little chicken broth. So, tonight’s menu is mustard glazed sockeye salmon and sautéed leeks. These leeks better be good. After googling, you-tubing and cleaning these cousins of the onion, I still have to cook the darn things. Broccoli takes like three minutes in the microwave. So much for spontaneity! And, to use the word ‘love’ at least a few more times…I would love to encourage you, and I would love to be sharpened by you – “as iron sharpens iron” – I love your scripture references too! If you find time, dear one, I would love to collaborate!